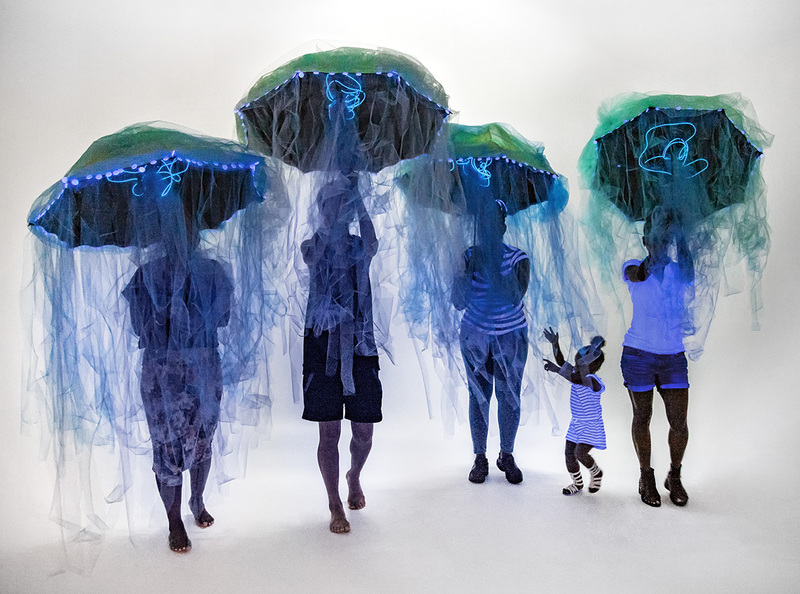 Featured in Laura Anderson Barbata: Ocean Blues. Born in Mexico City, works in Brooklyn and Mexico City. Since 1992 she has worked primarily in the social realm, and has initiated projects in the Amazon of Venezuela, Trinidad and Tobago, Mexico, Norway and the USA. Among them is her ongoing project The Repatriation of Julia Pastrana, initiated in 2004. 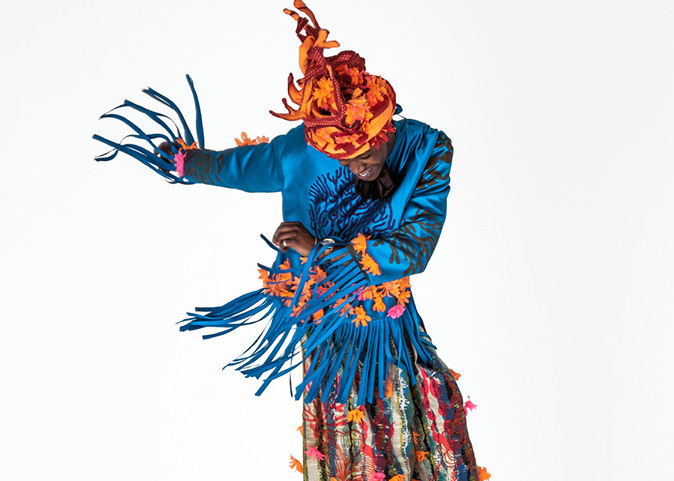 She is also known for her project Transcommunality(ongoing since 2001), with traditional stilt dancers: The Brooklyn Jumbies fromNew York, West Africa and the Caribbean, and los Zancudos de Zaachila, from Oaxaca, Mexico. This project has been presented at various museums, public schools and avenues, among them The Museum of Modern Art New York; TheModern Museum Fort Worth Texas; Museo Textil de Oaxaca, México; Museo de la Ciudad de México; BRIC, New York and Rutgers University, among others. Her drawings, photographs, and projects have received awards by the Institute of Bellas Artes FONCA, The Lindbergh Foundation, The Carnival Comission of Trinidad and Tobago and The New York Foundation for the Arts. Her work is included in various collections private and public, among them: TheMetropolitan Museum of Art, New York; el Museo de Arte Moderno, México D.F. ;Landesbank Baden-Württemberg Gallery, Stuttgart, Germany; The Sprint Nextel Collection, Overland Park; Fundación Cisneros, American Express Co. México; Museo Carrillo Gil, México; Museum of Contemporary Art, San Diego, CA;Museo Jaureguía, Navarra, España. And has been featured in: The New YorkTimes, Sculpture Today by Phaidon Press, Kunstforum Germany, ARTnews, Artin America, ArtNexus, 160 Años de Fotografía en México-INBA, among others.